The average attention span is approximately eight seconds. This means that the shorter the video, the better. You want to grab your viewer’s attention to keep them entertained. While longer videos can be effective in certain cases, in general videos should be no more than two minutes long. There is nothing worse than watching a video with poor sound and picture quality. Use a good microphone and record in high-resolution 720p or HD, which has a resolution of 1280x720. Utilizing video hosting sites such as YouTube or Vimeo also keeps your website loading faster and can act as an SEO tactic. Setting your video to launch as soon as the page loads can deter many customers, prompting them to leave your site. Give viewers a click-to-play control over videos. The only exception to this is for videos on a landing page, where you have a specific message to deliver in a limited amount of time. 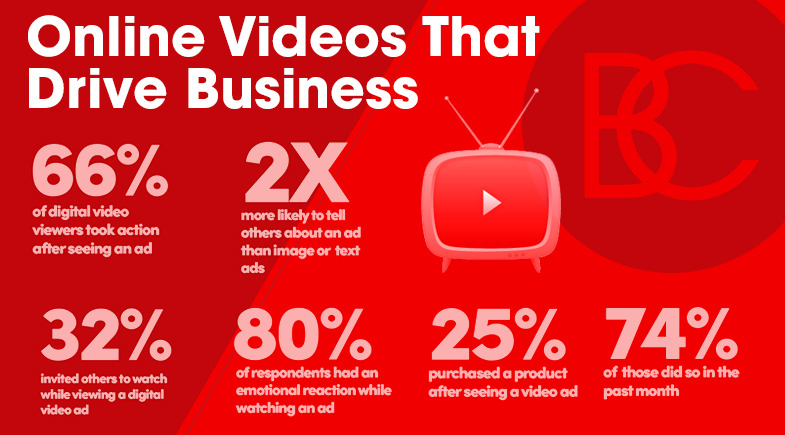 Grabbing the viewer’s attention with a great video is only half the battle. Include a strong call to action to take the prospect to the next step. This could include a simple statement such as “sign up now for a free trial”, “fill out the form to find out how we can assist”, or “take me to the products page”. Keep up with the ever-changing digital landscape through investing in cutting-edge forms of content such as video marketing. Brian Cozzi, Inc. aims to deliver superior content in the most distinctive way possible. With extensive videography incorporated into many websites and marketing campaigns, they understand the importance of keeping up with current tactics. Contact us to learn more about how to deliver what consumers want, when they want it, and how they want it!